Are we now in fashion business? First of all – thank you for you generous donations, it made this whole campaign possible. And no, we are not in fashion business. 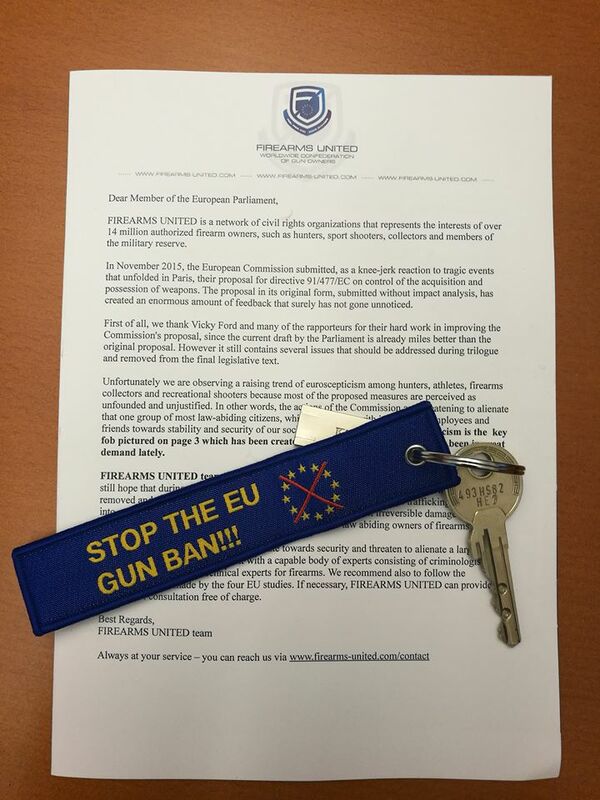 Firearms United has now successfully concluded a campaign, the goal of which was to inform Members of the European Parliament about the flaws in the current firearms directive proposal. 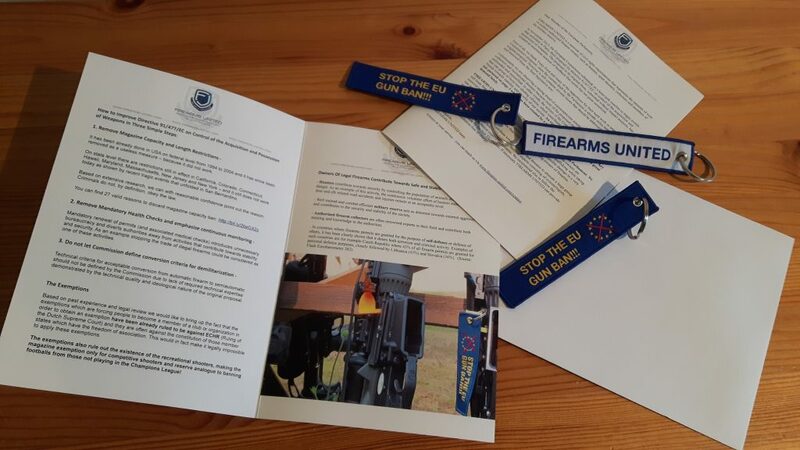 We have essentially, assembled an information package, filled with facts, statistics, introductionary letter and Firearms United key fob/chamber flag. The graphical design for the key fob was borrowed from Swedish enthusiast. Keeping people informed is still the name of our game. That being said, the information package included 28 reasons why the magazine ban is unworkable from both legal and enthusiasts perspective. 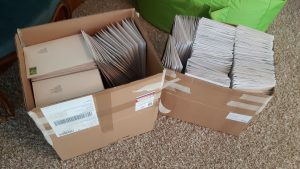 The amount of work was huge, and we would like to thank everyone who participated, either by helping us filling the letters or by sponsoring the printing of the information package. – Keyfob design modeling, finding a subcontractor willing to make them with quality, on time. 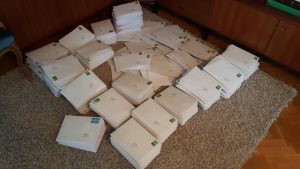 – Filling up 750 envelopes, adding stamps, addresses and so on. FU would like to thank volunteers from Finnish Military Reserve. The most negative reaction we received from Spanish socialist Marina Albiol Guzman, who pretty much directly binned our letter as shown in picture below. Well, you can not win all the hearts and minds. At least now all MEPs know where to reach for information if necessary, we promised to provide free expert level counselling and assistance, should they have any technical questions regarding firearms and related legislation. Are there and plans for FU Membership? Of course – but until November European Gun Ban is more important than founding an association with pay- members, especially as we have registered partners in a lot of Member States. But we will start founding as soon as the struggle is over as we have more plans : to promote the benefit of gun ownership for target shooting, hunting, collecting and protection as well as fighting against restrictions. So stay tuned. 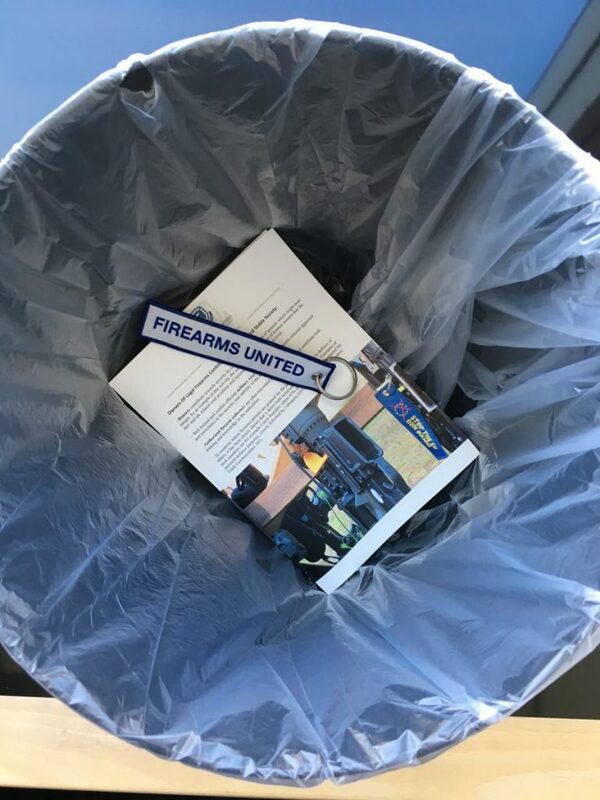 We do this since 2013 under one flagg: Firearms United. But our partners and some of our working team members fight for more than 10 or even 20 years like LEX and LEGIS and FESAC. The funny thing is how Guzman and her comrades paint FU as some industry backed lobby. They are so accustomed to spend other people’s money (like EU funds or Soros and the likes sponsoring) they just can’t comprehend a real grass root activity where the result is achieved with a small budget and large effort. 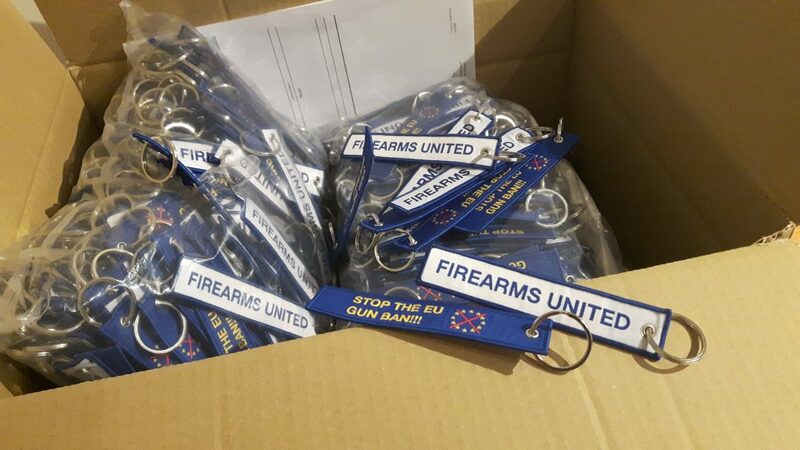 Any chance of getting a few of the key fobs over here in Ireland?Need a few of them to hand out on my local range and for a thank you gift for some of the beuracrats and politicans who helped us out on local levels as well.